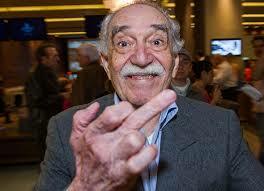 Happy birthday to Gabriel Jose de la Concordia Garcia Marquez! The Nobel Prize-winning Colombian novelist turns 87 today. He worked for a newspaper in Bogotá for many years, writing at least three stories a week, as well as movie reviews and several editorial notes each week. Then, when everyone had gone home for the day, he would stay in the newsroom and write his fiction. Who hears the rainy clatter of a Linotype machine any more? September 1942. 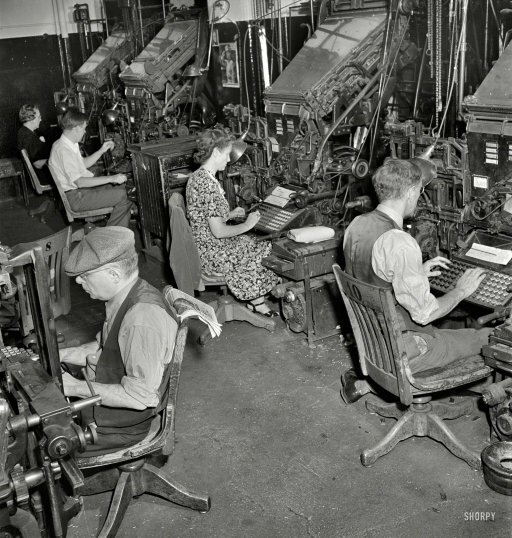 “Linotype operators in composing room of the New York Times newspaper.” These machines cast lines of type (Linotype) from molten lead prior to their assembly by compositors into the printing plates that go on the presses. Photo by Marjory Collins for the Office of War Information.